House hunters in Crediton now have the opportunity to take a peek inside two brand new house types at Devonshire Homes’ Tarka View site. 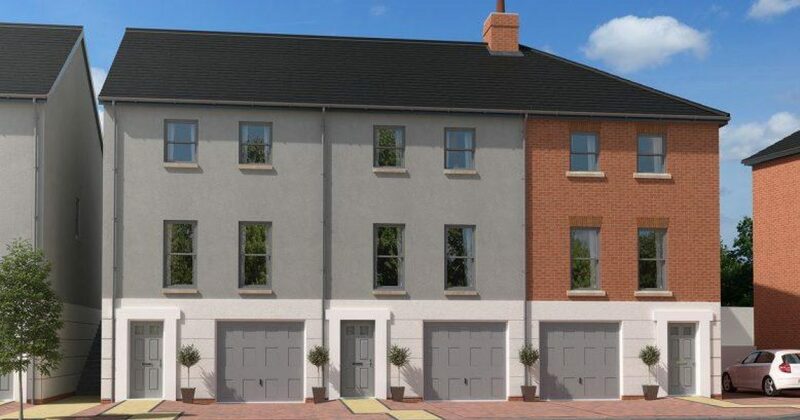 The local independent housebuilder has opened the doors of two brand new show homes, giving potential home owners the chance to see for themselves what the homes currently available at Tarka View will ultimately look like. The much-anticipated show homes have already seen a flurry of eager house seekers through the doors over the opening weekend and are ready to welcome more. Potential home owners now have the chance to look around a three bedroom Copplestone and a four bedroom Morchard house type. The Copplestone is guaranteed to impress every visitor who walks through its door. This stylish townhouse allows for flexible living across three floors. An open plan kitchen / dining area that meets the needs of modern day family life can be found on the first floor and three good-sized bedrooms are on the second floor. House hunters looking around the Copplestone show home will get a feel of how spacious this new home is and are sure to be impressed with the master bedroom which includes fitted wardrobes and a luxury en-suite. If visitors to Tarka View need even more inspiration, they can pop next door to the Morchard show home to look around this brand-new, unique house type. Potential home owners can wander through the study and spacious living / dining room on the ground floor before climbing the short set of stairs to the first ‘half landing’. Here, house hunters can admire the light and airy kitchen / breakfast room with French doors to the patio. An en-suite master bedroom can be discovered on the next floor as well as bedroom four and a family bathroom. At the top of the next half landing are two further bedrooms and a useful storage cupboard. Tarka View is a collection of two, three and four bedroom houses. Devonshire Homes’ Crediton development is served by existing transport routes with excellent local amenities. New pedestrian and cycle paths will be provided and further improvements are being made to transport links already in place.